If you have a home you probably have a number of different kinds of garden planters to decorate with. 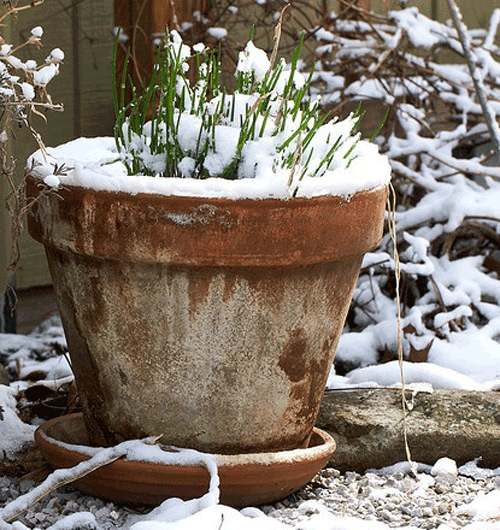 When winter rolls around do you know what to do to help protect those garden pots? 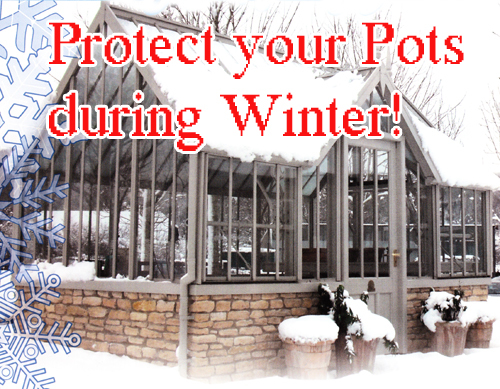 Here are a few tips on how to protect them during the winter months! Terra-cotta means baked earth which means true terracotta clay pottery is naturally porous and vulnerable to harsh winter temperatures of freezing and thawing. Even though many different kinds of planters are labeled "frost proof" they are labeled this way to be sold in certain types of geographic areas where winter weather isn't an issue. 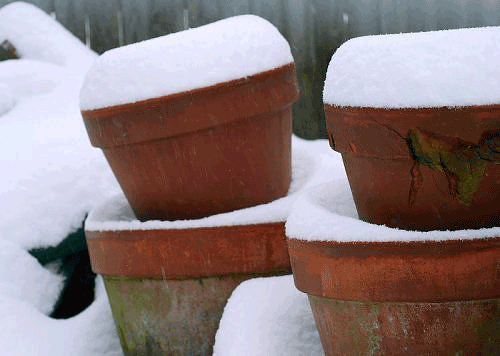 A frostproof pot may not crack and flake if it only has to endure mild frost. 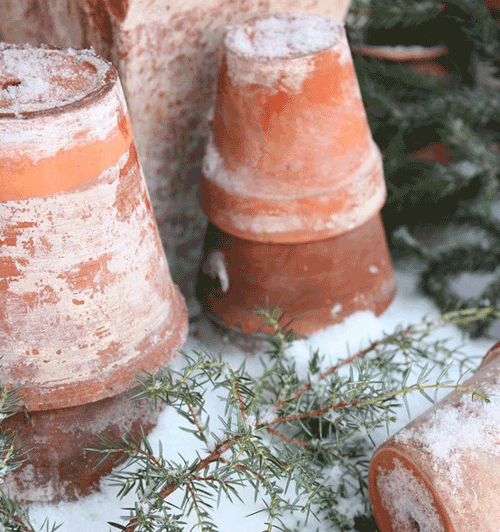 But in areas where the winter is harsh and extreme you may want to bring your terracotta pottery indoors for the season. The best thing to do is bring the terracotta pots indoors for the winter. This can be a greenhouse specifically made for this purpose, a corner of a garage or inside a garden shed. If you want to keep the plants in the garden pots and not clean them out then you can consider moving them indoors for a few months. Other garden pots are to large to move and just need to be cleaned out and stored. We recommend you remove all plant materials and soil from the garden containers. 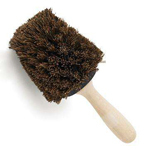 Give them a bath in a wheelbarrow filled with water and use a wire brush to scrub them out. If the pottery is fairly clean already you can just hose them off with the garden hose. Let them dry completely before storing them. You can use newspaper or bubble wrap to stack them but that isn't necessary. Stack the planters and pottery in a dry area where they will sit till next Spring. If you don't have a garage or shed to store the terracotta clay pots in, we recommend stacking them after cleaned and dried. Covering them with a plastic garbage bag and turn them upside down. Place the stack under a roof eave or next to a protected wall. The main idea is to keep the water off them so it doesn't soak into the terracotta clay pot and freeze. Once water freezes, it expands, and that expansion is what cracks the clay pots. It doesn't take much effort to keep your garden pottery looking great from season to season. Just follow a few of the tips above and you will have super success. It is worth the time!